Iraqi forces broke a months-long siege by jihadist fighters of the country's largest oil refinery Saturday as the top US officer flew in to discuss the expanded war against the Islamic State group. 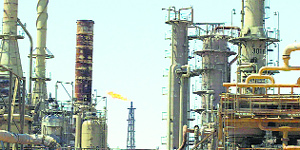 Iraq’s largest refinery complex in the northern town of Baiji. Pakistan and Afghanistan today pledged to work together for "peace, stability and prosperity" as the two wary neighbours, wracked by terrorism, attempt to bring the Taliban to the negotiating table. Tens of thousands of Georgians protested on Saturday against Russia, accusing Moscow of trying to annex the country's breakaway regions and denouncing their own government for not doing more to defend national interests. Russian President Vladimir Putin plans to walk out of the G20 summit in Australia, an aide said today, after he faced scorn and scepticism from Western leaders over Ukraine despite venturing to paper over Europe's deepest chill in relations since the Cold War. US President Barack Obama on Saturday warned of the dangers of outright conflict in Asia, as China squares off against rival claimants over disputed territories, but vowed that Washington would remain anchored in the region. 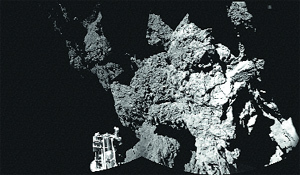 The European Space Agency’s (ESA) ambitious Rosetta comet mission is in trouble again with its Philae lander running out of power on the surface of the comet, media reported Saturday. Three Hong Kong student leaders were stopped from boarding a flight to Beijing on Saturday to take their fight for greater democracy directly to the Chinese government after airline authorities said their travel permits were invalid. Ousting IS fighters from around the refinery would mark another significant achievement for Baghdad, a day after pro-government forces retook the nearby town of Baiji. "Iraqi forces... reached the gate of the refinery," the governor of Salaheddin province, Raad al-Juburi, told AFP. Three officers confirmed that Iraqi forces had reached the refinery, 200 km north of Baghdad, where security forces have been encircled and under repeated attack since June. The new success for Iraqi forces came a day after they recaptured nearby Baiji, the largest town they have taken back since IS-led militants swept across Iraq's Sunni Arab heartland in June. Fully clearing the Baiji area of jihadist fighters would further boost Baghdad's momentum and cap a week which also saw pro-government forces retake a major dam. A joint operation by the army and Shia militia earlier this week wrested back the Adhaim Dam in the eastern province of Diyala. America's top military officer, General Martin Dempsey, arrived in Iraq for talks on the the further expansion of military operations against the jihadists. Prime Minister Nawaz Sharif said Pakistan's foremost priority was building a "peaceful neighbourhood" and reaffirmed that a peaceful, stable, united and prosperous Afghanistan is in Pakistan's vital national interest. "I have vision of a strong, comprehensive and enduring partnership between Pakistan and Afghanistan - contributing to the security and prosperity of our two nations, and reinforcing efforts for peace and development in the region. 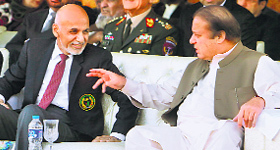 I am gratified that President (Ashraf) Ghani has a similar vision," Sharif said. Several weeks ago, Afghan President Ashraf Ghani had invited the Taliban to join national reconciliation negotiations, an initiative backed by Sharif. Critics of the government say it is too reluctant to criticise their powerful neighbour, particularly over the crisis in Ukraine, which stirs uncomfortable memories of their own, disastrous war against Russia in 2008. Following that conflict, two breakaway provinces, Abkhazia and South Ossetia, declared independence with Russian backing. Moscow, which opposes Georgia's flailing efforts to join the transatlantic NATO military alliance, has proposed a new treaty with Abkhazia, which is viewed in Tbilisi as a step towards full Russian annexation. Protesters, led by activists and leaders of the opposition United National Movement (UNM), marched down Tbilisi's main avenue waving the national flag and holding posters that read, "No to occupation!" and "No to annexation!". Many chanted: "Long live Georgia." 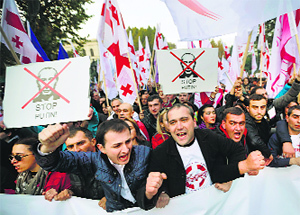 "This is the clear message from the Georgian public that we will never accept the fact of our sovereignty being dismantled by (President Vladimir) Putin's Russia," Giga Bokeria, one of the UNM leaders, told Reuters during the march. "It's also a message to the government of Georgia. We need the government to focus on the country's problems and not on political retribution." Former Georgian President Mikheil Saakashvili, who has been charged with exceeding his authority during his years in office, addressed the crowd from Ukraine's capital Kiev. The abrupt decision threatens to upend the annual summit's focus on revamping the global economy and fixing sores such as the Ebola epidemic in west Africa. "The programme of the second day (Sunday) is changing, it's being cut short," a source in the Russian delegation said on condition of anonymity. Putin will attend summit sessions tomorrow but will skip an official lunch and address reporters earlier than planned, the source said, adding: "Lunch is more of an entertainment." The Group of 20 nations, which includes the US and China, found agreement in vowing to "extinguish" the Ebola outbreak - albeit without any promise of hard cash - as it worked to reboot growth in the world economy after the shock of the 2008 financial crisis. But Ukraine represents the most pressing test of the club's ability to marry its economic heft to diplomatic troubleshooting, given the Cold War-style divisions between Russia and the West exposed by the former Soviet satellite's separatist crisis. There was no immediate comment from the G20's Australian hosts or other delegations such as US President Barack Obama's to Putin's decision, which came after some testy exchanges in Brisbane today. Canadian Prime Minister Stephen Harper was approached by Putin to shake hands. According to Canadian media, Harper said: "Well, I guess I'll shake your hand, but I only have one thing to say to you: you need to get out of Ukraine." Before his own tense meeting with Putin on the G20 sidelines, British PM David Cameron said Russia faced a choice, with one option to implement an agreement to allow stability to return to Ukraine free of Moscow's meddling. “It’s important to warn of the dangers if Russia continues to head in the other direction," Cameron said, bluntly warning that Putin had failed to serve Russia's own interests by exposing it to punishing Western sanctions. In a speech at Brisbane’s University of Queensland, Obama insisted that his “pivot” of US policy back to Asia was real and here to stay. In the talk, given on the margins of the G20 summit, the president reviewed the stunning economic progress seen in East Asia since World War II. This happened when a last-ditch attempt to nudge the lander to a more sunlit place on the comet apparently came too late to charge its batteries and keep the systems going, The Guardian reported. Mission controllers for the Rosetta mission had said on Friday that they were preparing to “hop” the robotic probe in the hope of settling it in a sunnier spot on the comet’s surface. Philae had apparently been successful in shifting its position to give its shaded solar panels a better chance of catching sunlight. “My rotation was successful (35 degrees). Looks like a whole new comet from this angle,” read a message posted on the lander’s official Twitter account. Earlier, the scientists tweeted: “First comet drilling is a fact!” However, it was then announced that Philae would have to use up its remaining battery power in sending a final burst of data back to earth. 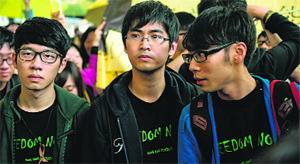 The students, led by Hong Kong Federation of Students' leader Alex Chow, had planned to go to Beijing with the intention of meeting Chinese Premier Li Keqiang as efforts to reach agreement with officials in Hong Kong had failed. A Cathay Pacific spokesman told local media that Chinese authorities had told the airline the students' travel permits were invalid. He did not elaborate, though the representatitve of a student body did comment. "Cathay has confirmed that their (students') return home card has been cancelled by the mainland authorities, so they could not get the required certificates to get on to the plane," Yvonne Leung, the representative of the Hong Kong Federation of Students, told reporters. The student leaders left the airport shortly after. Protesters have occupied key areas of Hong Kong for more than six weeks, camping out in some of the world's most expensive real estate and paralysing parts of the financial centre to demand free elections for the city's leader in 2017. Local media had speculated that the students would be turned back once they landed in Beijing. China has refused entry before to activists who speak out against Beijing. About 300 supporters, some with yellow umbrellas that have become a symbol of the democracy movement, showed up at Hong Kong airport where they were greeted by a media pack amid chaotic scenes. Beijing has declared the protests illegal and said law and order must be maintained in the Chinese-controlled city, where scenes of police firing tear gas and violent clashes have grabbed global headlines. But Beijing said in August only candidates screened by a nominating committee will be able to contest a city-wide vote to choose the next leader in 2017, triggering widespread condemnation and protests.